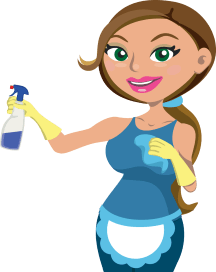 Always Clean Kitchen: What to Do Every Time You Do the Dishes? The always clean kitchen sounds oxymoronic at first sight. A kitchen could be always clean if it is never used only, will every housewife, woman, man, kid, and human being on Earth tell you. The second you start baking, cooking, coffee making and cocktail preparing there, you need to say goodbye to the perfection and get used to the clutter, the mess, the dirt, dust, and grease in particular places. But, wait, this is the price of the home-made meals, yummy desserts, strong coffee, and good life, isn’t it? And to some extent, this philosophy is right. But are you ready to adapt and get used to this mediocrity? Do you want imperfection and incompleteness and wouldn’t you at least try? The truth is that keeping the kitchen clean and organized in near to perfect condition is hard, but is not possible only for the neat freaks and the incredible housewives, but for us all, as well. And in fact, you need more of willingness, appropriate attitude, and preciseness, than cleaning techniques and experience. After all, it is all about the overall well-looking of the kitchen and not about nuclear physics. But what should you start with? 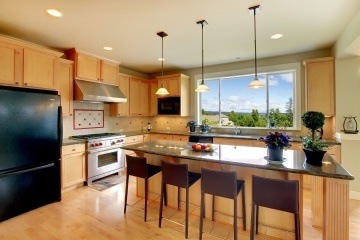 How Often Should You Clean The Kitchen? 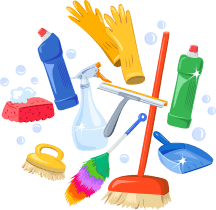 And how often should perform kitchen cleaning? The time is getting more and more scarce every day and the last thing you would do is waste it for the sake of some kind of perfection. But what if I tell you, that you could reach this same flawlessness without having to make that many sacrifices. It is all about planning, timing, and motivation. Here are the things you need to do daily after you do the dishes. While cooking, baking, or even while just getting takeaway meals out of the boxes and putting them into plates you make a mess in the kitchen. And if you are kind of lazy or even just tired, you tend to leave them as they are and put them away eventually in a week time. This is a total DON’T. No matter how you feel and what you are up to, never leave this for tomorrow. Wash the dishes. Declutter the kitchen. Remove everything from every surface. It takes up to 10 minutes, I promise, and the results are fascinating. Your kitchen looks transformed. 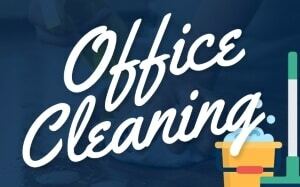 If there are no dirty mugs, empty boxes, long unused appliances, open kitchen books, and water bottles in your kitchen, it will look better for sure. This was the first step. But as you removed all these, you need to clean what was beneath them. You need to dust well and often. Buy a microfiber cloth and leave it somewhere handy. Clean with it every time you do the dishes and there wouldn’t be dust in this room again. At least you won’t see any. And often enough make sure that you will take care of the grease. 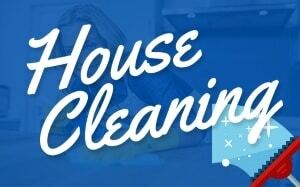 The little tricky help of a house cleaning service like LynneJean Cleaning come handy here and just on time.